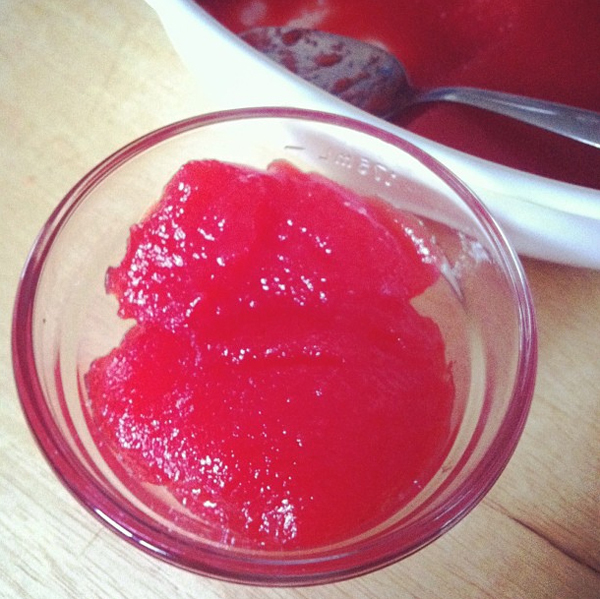 I have been meaning to make this Red Hot Jello recipe for some time now. It reminded me of a dish we had with Aaron's family once. 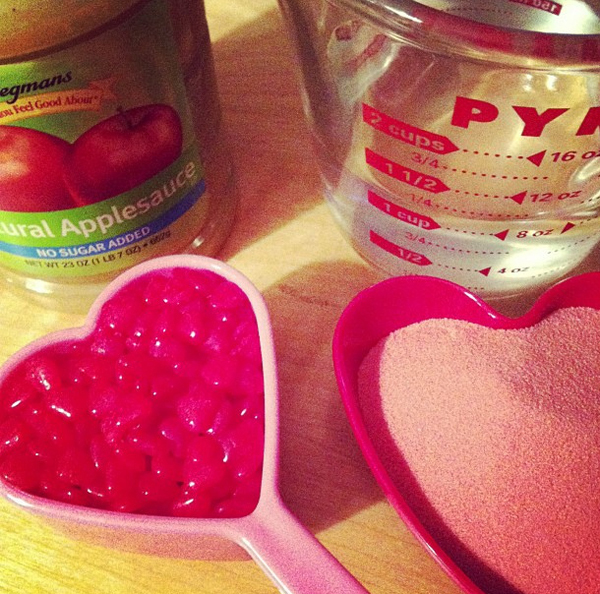 It seems like a fun dessert to make around Valentine's Day. The ingredients, red hot candies, strawberry jello and apple sauce sound strange... but really it's more like cinnammon jello with texure. Tasty!